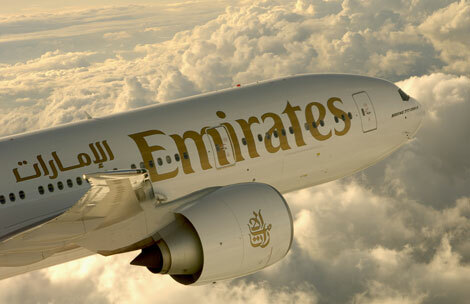 Emirates will begin operating a daily service out of Dubai to Yangon and Hanoi from August 3. The new service will see the Gulf Carrier initially deploy a three-class B777-300ER on the route, before switching it to a two-class from October 2016. The three-class B777-300ER will feature eight seats in first, 42 in business and 304 in economy. Customers should note that the business class seats are not flatbeds, but angle flat. Meanwhile, the two-class version will offer 42 flatbed seats in business and 385 standard seats in economy. Flight EK388 will depart Dubai at 0250 and arrive in Yangon at 1105. It will take off from the Myanmar city again at 1235, before touching down in Hanoi at 1450. The return service will see flight EK389 depart Hanoi at 2250 and arrive in Yangon at 0020 the next day. Following a brief stopover, the flight will depart again at 0150, arriving back in Dubai at 0505. “With the opening of this service, Emirates will enhance its Southeast Asia offering and offer more choices for travellers in Myanmar and Vietnam to conveniently connect to 39 cities in Europe, 16 in the Middle East as well as a number of destinations across our extensive network in Africa and the Americas,” said Adnan Kazim, Emirates’ divisional senior vice president, strategic planning, revenue optimisation and aeropolitical affairs.